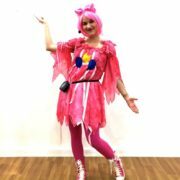 Let our Childrens Entertainers London “Ponify” your special day with one of our brilliant Pinkie Pony professional kids party entertainers! Your 1, 2 or 3 hour Pinkie Pony childrens themed party entertainment will see up to a maximum of 30 boys and girls playing Pony Corners, shaking their pony tails with swooshing scarf dancing, and wrapping up their own real life white pony! 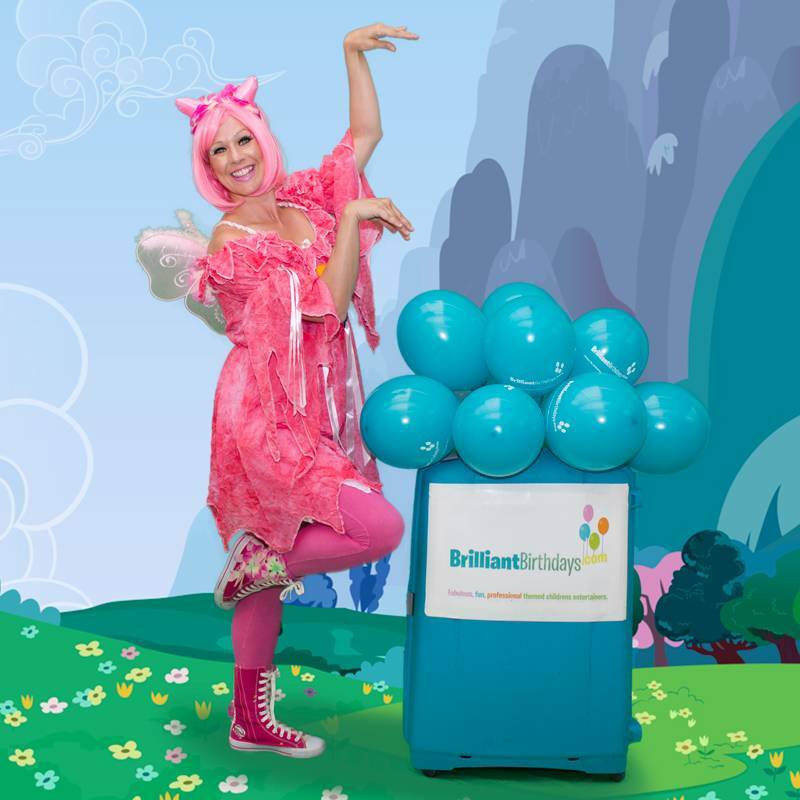 One of our experienced team of kids party entertainers will race your guests to a Pony-rific time, by selecting the party activities that will best suit the length of your childrens themed party entertainment! 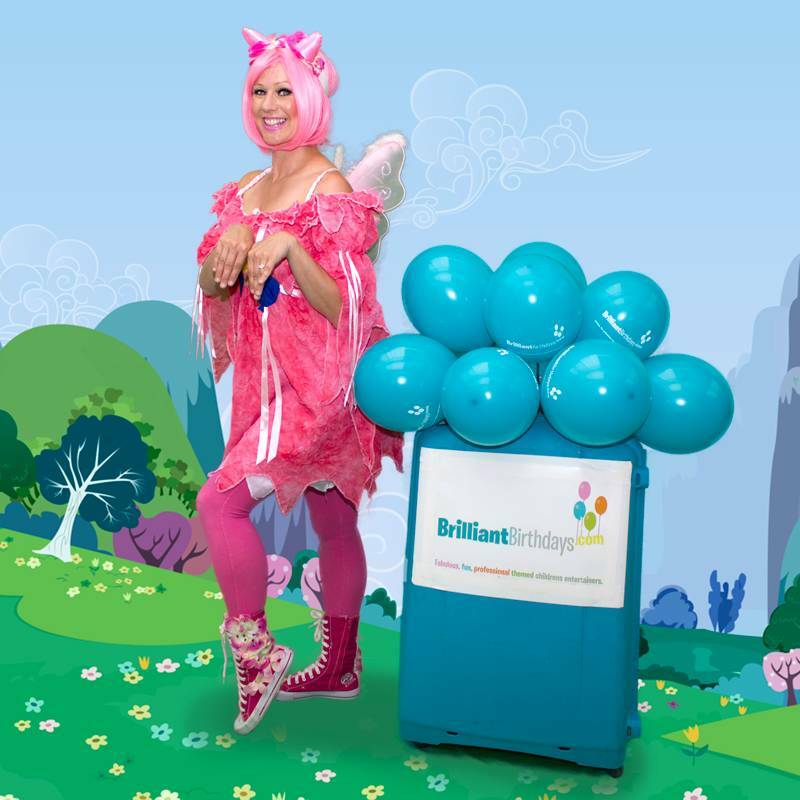 If one of our lovely Pinkie Pony childrens themed party entertainers will be trotting to provide perfect pony party entertainment at a destination in the M25, we are very happy to say there will be no travel charge! If one of our Childrens Entertainers London will be showing everyone that “Friendship is magic” at a destination outside the M25, then there will only be a travel charge of 40p per mile, from and back to the M25! 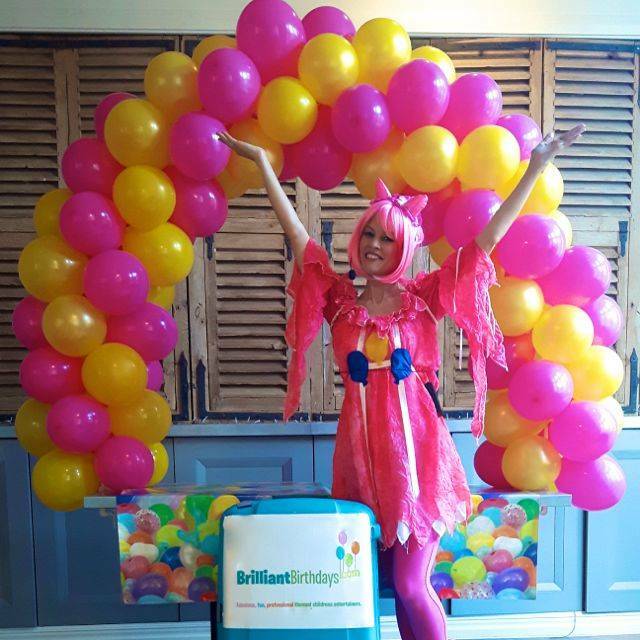 So step lively and book our wonderful Childrens Entertainers London, and watch your guests canter their way through an Equestrian Adventure with our brilliant, Pinkie Pony childrens themed party entertainment! 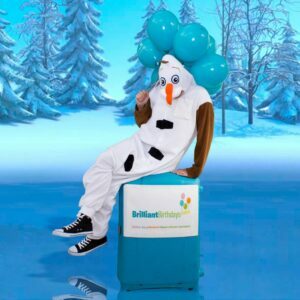 I recently hired Brilliant Birthdays for my daughter’s 3rd birthday party and I am very pleased with the level of service received by this company. The prices were reasonable and they were very punctual and well prepared. The children had a lot of fun with our Pinky Pony entertainer. She was very sweet and amazing with children. I will definitely recommend to my friends. Many Thanks !!! Highly recommended Pinky Pony party. The kids all had a great time at the party. Great Thanks! Just wanted to say a big thank you for an amazing party on Saturday. Everyone really loved the party I will be recommending Brilliant Birthdays to all my friends!!! My Daughter Loves My Little Ponies and so we booked Pinkie Pie to host her 5th Party. The Entertainer arrived nice and early and was kind and attentive during the 2hr session. The girls all got a Silver Pony Tattoo and a Balloon to take home at the end! Pinkie Pie even make Giant Bubble that both the children and adults were super impressed with. Professional and full of energy I would 100% Recommend Brilliant Birthdays. Thanks guys and keep up the good work! Just had Pinkie Pony for two hours plus a Horn and made it into a Unicorn themed party! The Girls loved this ….she even produced Giant Bubbles!!! 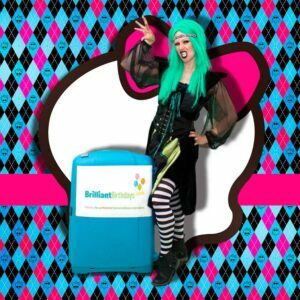 I 100% recommend Brilliant Birthdays for a great professional service from start to finish! 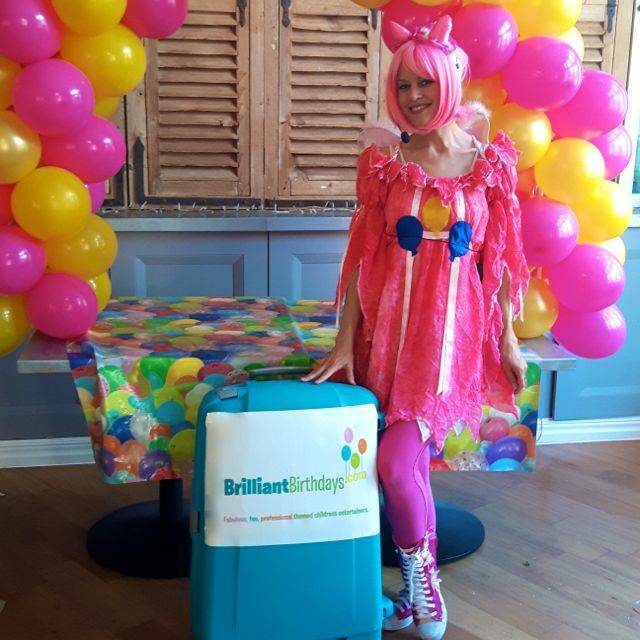 Thank you Brilliant Birthdays for Pinkie Pony Party! My daughter had a wonderful time with her friends! Everyone was asking me for your details! See you soon again! Giant Bubbles, Pony Trotting Statues and loads of dancing and games our party was the talk of the playground on Monday morning! Thanks to our Amazing Entertainer the kids had an awesome time! Everything was absolutely perfect. The parents also ended up having a super time, since the kids were so well taken care of. The theme was My Little Pony and our Pinkie Pony was brilliant. I look forward to working with Brilliant Birthdays again next year! 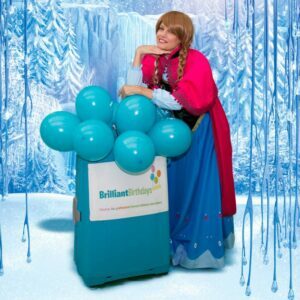 We got an amazing experience with Brilliant Birthdays service ! Highly recommend to my friends. Despite of a massive hot weather last weekend we pulled out the party so well! Thanks to Christina ( Pinkie Pony) not only kids had a great time also the adults! Many Thanks! We had an amazing kids birthday party last weekend! 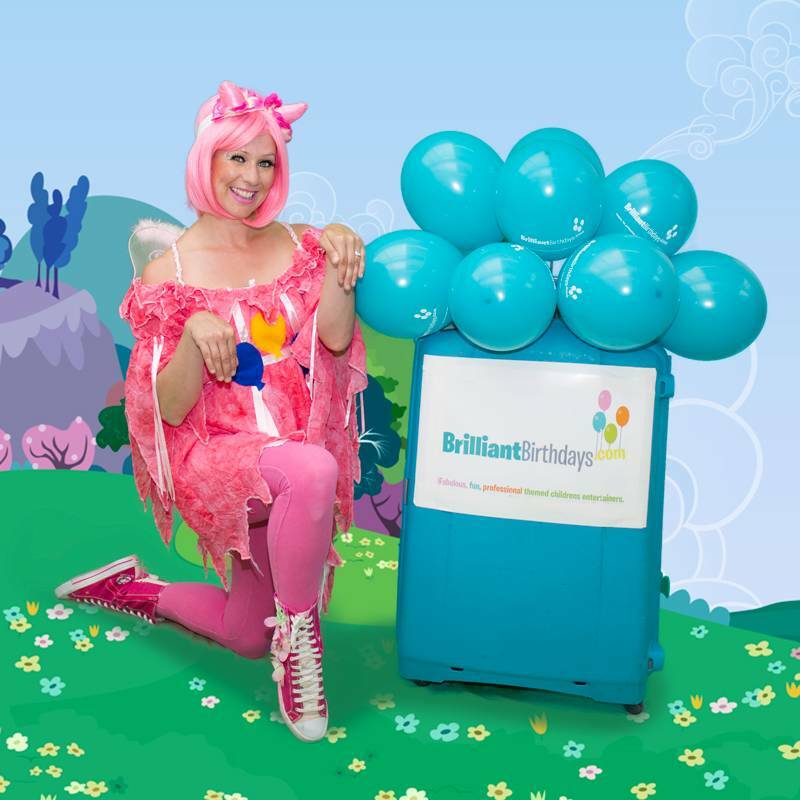 Thank you brilliant birthdays for sending over Pony entertainer kids loved her. She was lovely, professional and polite lady and we would recommend her to anyone. Many Thanks! I booked 2 hr party package but couldn’t choose the theme. You were very enthusiastic and helpful which helped me decide to go ahead and book the party. 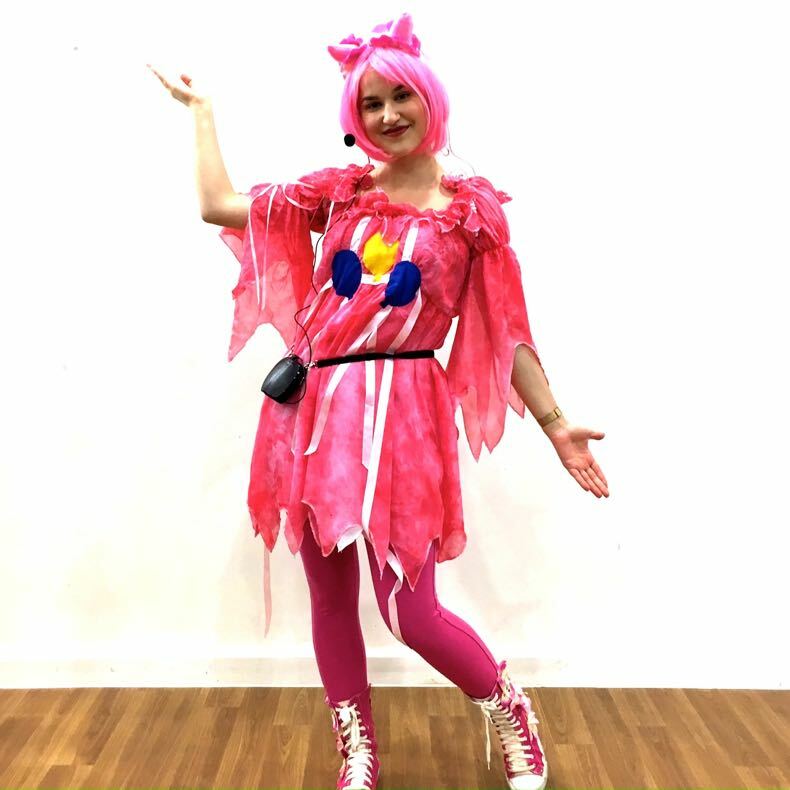 Thank you Brilliant Birthdays – Pinkie Pony Theme was memorable !!! 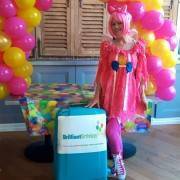 Highly recommend Pinkie Pony Party theme.. the entertainer was very professional and amazing with the kids. My daughter had a memorable day for sure.. THANK YOU! Just wanted to say Huge Thank you to Brilliant Birthdays, especially to Sarah Jane. Everyone had a great day! from pinkie pony outfit, blowing bubbles etc… Everyone had an enjoyable afternoon. Can’t recommend highly enough and will definitely use your service again for upcoming parties. Thanks again for a Fab Day. Great company to work with, the booking process was informative and easy. Jasmine was great, very energetic, engaging and always smiling. The kids and parents both had a fantastic time, would highly recommend her. Also plan on booking for next year!! Thank you so much for a wonderful 5th birthday party. We could not have asked for more from a kids party entertainer.